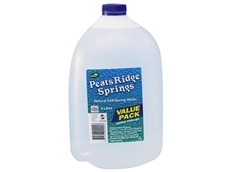 Coca Cola Amatil has closed its Peats Ridge bottling plant, citing a decreased demand for bottled water and offering four redundancies to employees. 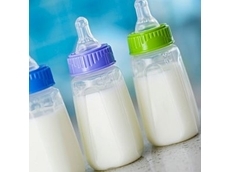 Infant formula manufacturers have welcomed recommendations of a review of the Marketing in Australia of Infant Formula Agreement, including that it remain voluntary. One of Australia's largest food processors, SPC Ardmona, has had its anti-dumping case approved for formal investigation by the new Australian Anti-Dumping Commission. 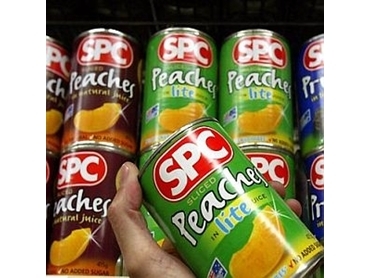 SPC Ardmona has confirmed investigations have been initiated into both its peaches and tomatoes anti-dumping claims - the first cases to be approved by the Commission. The WTO Anti-Dumping Agreement allows countries to take action against imports from countries allegedly exporting at 'dumped' prices. "Dumping occurs when an overseas supplier exports a good to Australia at a price below its ‘normal value’ in the supplier’s home market. If dumping causes, or threatens to cause, ‘material injury’ to local producers of ‘like goods’, then remedial action can be taken against the imported goods concerned," shadow minister for agriculture, John Cobb,explained earlier this year. Peter Kelly, managing director, SPC Ardmona, said the announcement today validates the hard work the company has undertaken in recent months to "revitalise" itself, and says New Zealand has had similar safeguards in place for more than a decade. "We are determined to fight for our business in the Goulburn Valley and the future of Australian food processing. We believe we have a very clear case for Anti-Dumping measures and it’s encouraging that the government has deemed there to be enough evidence to warrant a formal investigation," he said. In April SPC told 170 of its Goulburn Valley fruit growers that it would no longer accept their produce, blaming the high exchange rate and a decline in export markets.The minister for home affairs and minister for justice Jason Clare officially launched the new Australian Anti-Dumping Commission in Melbourne today, naming Dale Seymour as the new Anti-Dumping Commissioner. "Today we have a new Commission, a new Commissioner and $24.4 million in new resources to conduct anti-dumping investigations. This is good news for Australian manufacturers and workers," Clare said. The Commission also confirmed it had initiated investigations into peaches imported from South Africa and tomatoes imported from Italy.